ATS Paradiso is well-designed residential project by the team of professional and experienced architects of Hafeez Contractor at the primary location of Greater Noida, Sec Chi- 04 on Expressway. The project is constructing over 32 acres so there is wide ranges of options are available for your dream house. The project includes landscaped lush greenery for healthy living. It also includes all modern and state of art features and facilities, which is not available in others project. 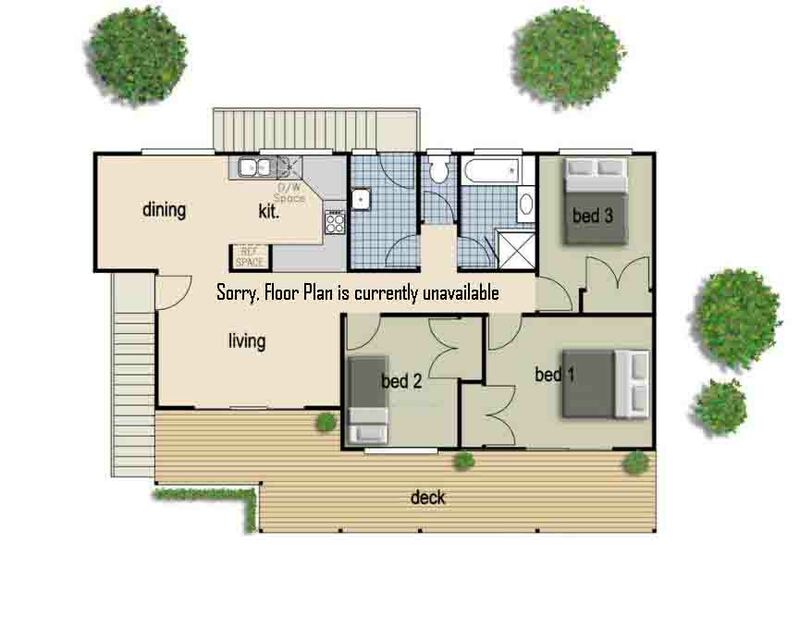 The price of the house in this project is affordable as compared to others project in Greater Noida. The project also includes villas for perfect residency. 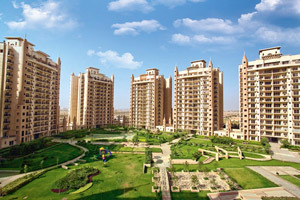 ATS Paradiso at Sector Chi-04 Greater Noida is a pioneering residential project of the famed ATS Group. This architectural wonder constitutes total 24 residential towers, 14 No. of floors and 1012 palatial apartments and 19 villas with all imaginable advanced, avant-garde facilities and services. 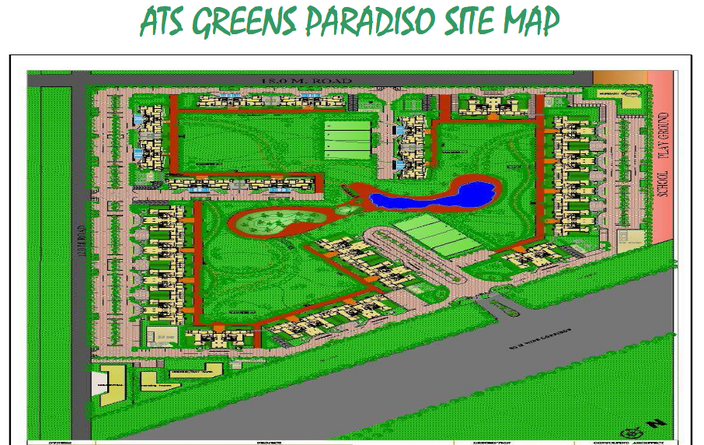 ATS Green Paradiso reserved more than half of its 32 acres prime value land for abundant green landscape. Designed by legendary architect Hafeez Contractor, the project receives the Best residential building design award as runner-up in the RR Kabel society interiors building design award 2011. ATS Paradiso offers you premium luxury 3 BHK apartments built over 1600 sq.ft - 2000 sq.ft area while the 4 BHK apartments constructed over 2800 sq.ft expanse. Since its establishment in 1998, ATS Group traveled a long way to become the impactful brand of Delhi NCR real-estate arena. With its young, dynamic, strong team of professionals group has demonstrated his trusted brand image and set the course of exponential growth. ATS put up the ambitious goal of delivering average 05 million sq.ft residential space yearly and expanding his presence in other prominent locations across the country. The group observed a remarkable growth with 30 million sq.ft developed residential area, 7000 apartment unit delivery, more than 25000 satisfied customers ad 40 million sq.ft area under development. ATS Paradiso is all about living life at its best with alluring gardens, amazing green landscape, and abundant green cover made you feel in the lap of nature. ATS Paradiso destined to be the landmark premium residential development of Greater Noida located in one of the most happening developed regions of the city. The project located in the close vicinity of renowned Yamuna Expressway which provides connectivity to key cities like Agra and Mathura. It also facilitates smooth access to many prominent educational institutions, hospitals, bus depot thus a major advantage for residents. ATS homes are well known for their magnetic aesthetics, superb design craft, eco-friendly surroundings, best in class amenities and an array of suitable facilities. Here, you got an attractive range of amenities like swimming pool, curated gardens, health facilities, kid play zones, gymnasium, indoor and outdoor gaming. Besides these, round-the-clock power backup, multilayer security, community space, maintenance system, ample parking space gives you a peace of mind. With its undeterred approach of unparalleled professionalism, transparent functioning, world-class construction, and strict quality control ATS Group earn the trust of customers. That why ATS Paradiso is the 1st choice of NRIs, eminent sports figures, professionals, servicemen, business class, industrialists, artists. Further, ATS Paradiso villas offer a unique lifestyle statement of luxury and fulfilment. 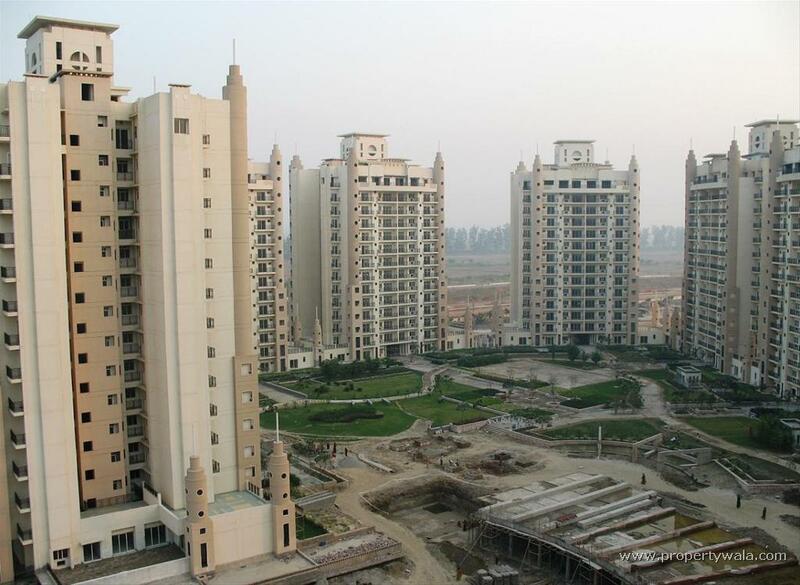 Sector Chi 04 Greater Noida 2800 Sq.ft. Sector Chi 04 Greater Noida 2000 Sq.ft. Sector Chi 04 Greater Noida 1600 Sq.ft.